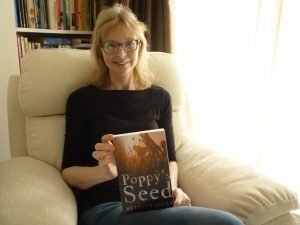 I’m delighted to welcome Bethany Askew to my site today to talk about her latest novel, Poppy’s Seed. I was lucky enough to meet Bethany while we were both being interviewed by the lovely Suzie Grogan on 10 Radio last week. I had no hesitation in asking Bethany if she’d mind sharing information about her excellent novel with us today. What inspired you to write your latest novel Poppy’s Seed? This book was based on a dream I had. It was very vivid. I remembered every detail. The moment I woke I up I scribbled it down so I wouldn’t forget it. It was about a couple who moved to Lyme Regis and met someone who changed their lives, and whilst causing havoc in their relationship, she also showed them things about themselves and each other that they never knew before. Only the ending was left uncertain. Initially the girl they met ran a shop in Lyme Regis. It was only when the storyline became clearer to me that I made her into an artist and jewellery maker. I had a very definite idea of where in Lyme Regis her shop was and what type of shop it had to be. I didn’t really know why the couple had moved to Lyme Regis, but when my husband and I retired and moved house it became clear to me that I could write with experience of this difficult time. The main protagonists were very real in my dream, particularly the girl who had to be unique: a free-thinking, free-spirited girl, living by no rules and knowing no boundaries. The character of Poppy is inspired by reading biographies of artists and writers such as Vita Sackville-West and Vanessa Bell, women who lived outside the social norms of society in their time. I have always been fascinated by the Bloomsbury set and their contemporaries and Poppy’s untidy habits and messy house are based on the artist Augustus John and his family, who put their creativity above mundane things like tidiness and cleanliness. 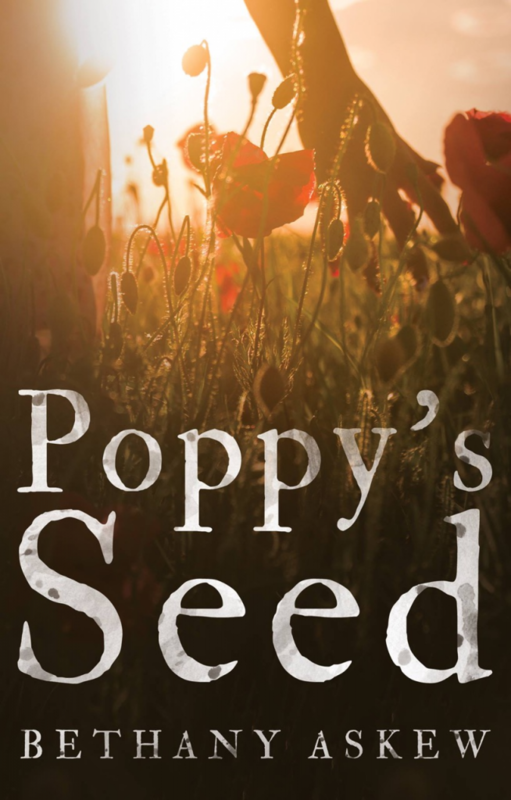 Poppy’s Seed is a contemporary novel that deals with the problems of many modern families, including the effect of children and stepchildren on a couple; the balance of power between two people; and the compromises made to keep a relationship going. I like to write about women’s lives and relationships and am particularly interested in a woman’s role as wife and mother and the effect of marriage and divorce on family dynamics. My main female protagonists tend to be versions of me, with some of my characteristics exaggerated. I’m certainly not as house proud or as sexually adventurous as Emily in Poppy’s Seed but we share the same practical and optimistic view of life. And there is a lot of myself in Charlotte in my novel Out of Step: Charlotte’s experiences of divorce, access, and custody battles are based on my own. The World Within is my most auto-biographical story. Set in the 1970’s, when it was still socially unacceptable to be an unmarried mother, it tells the story of Jemma, who has to give up her plans for further education when she becomes pregnant. Set in my home town of Taunton, this book is inspired by my own teenage years, with an alternative version of Jemma’s life played out simultaneously, the reader left at the end to decide which Jemma has the more fulfilled life, the one who went to university as planned or the one who married and had a baby and stayed behind in Taunton. The only one of my novels that has nothing of me in it is Counting the Days , which is a true story, based on my parents-in-law’s letters written during World War Two. A bit of a departure for me, this was written mainly for the family, but it has sold well at the presentations my husband and I give to local interested societies, where we show the photographs my father-in-law took on active service overseas and read extracts from the letters. My website www.onactiveservice.co.uk is a valuable resource to anyone interested in World War Two: it reproduces the letters and war diary entries verbatim, seventy three years ago to the day they were written, together with wartime photographs of England and Egypt and India. Do you prefer to plot your story or go with the flow? I’m not one of those writers who plans their books chapter by chapter. My stories evolve as I go along. My ideas for characters change and even when the characters are fixed I find they sometimes do things I don’t expect and I have to re-think everything. Originally Poppy’s Seed was going to be far more about relationships and family dynamics but as I wrote it Poppy took over more and more and I found she had a secret agenda that I could weave through the story. The character of the step-daughter also changed: at first she was far more bohemian and artistic but I couldn’t have two characters like Poppy so I toned her down a bit. I like to include step-children in my novels as it is something I can write about with experience. I feel it is a reflection on modern society and a situation many people nowadays can relate to. I like my readers to be involved in what my characters are thinking, to hear the characters thoughts and feelings and experience their lives. I have experimented with different perspectives. I have found that if I write as “I” then it is hard to describe how “I” look or sound or even what “I” may be wearing. In this book the reader hears Emily’s and Peter’s perspectives on the same situation. She thinks she’s trying to help him find ways to enjoy his retirement; he thinks she’s trying to boss him around. This way I can also describe each character as seen by the other. The only one of my novels that has varied from this approach is Counting the Days, which is written from an objective point of view because, although it is a novel, it is based on fact and apart from the few intimate thoughts expressed in the letters I was using, it was hard for me to know the exact feelings of my main protagonists. It was more a case of charting their joint story. I don’t have one. I just write when the mood takes me. Certainly not every day. And I rarely write for hours. Although I don’t write every day the book I am working on is constantly on my mind and I am usually jotting down notes or words or phrases that come to mind. I try to keep these logically in a notebook but they often end up on endless scraps of odd paper as ideas strike me suddenly. I write on my laptop in my armchair if I am writing a fair bit, or at my desk in my study if it’s only a few odd sentences or ideas. When I have an idea for a story I live with it for a while, even up to a year, getting the characters clear in my mind and letting myself feel how the story will progress, what the characters look like, where they will live etc. Each part I write is like a scene in a film or play. I “see” the characters in my mind acting it out for me and just write down what they do. I like to take a break between chapters for my actors to re-group before they act out the next scene. Sometimes I’ll come back to the previous scene and add a bit or re-write it. My writing for the day might just consist of a few sentences, but every little bit matters. I start my stories without any structure at all and see what happens. Then, as I progress and the story becomes clearer I plan what will happen in future chapters. Characters and events often change! I am completely self-taught. I have never been on a creative writing course or any workshops and have never liaised with other writers. I have always known I wanted to write and when I had fewer family commitments I just sat down at my PC one day and started to write a novel. This first novel, The Time Before will never be published. It is very much a first attempt. I didn’t plan it or structure it. I just had an idea and off I went! But I learnt a lot about writing just by doing it. Now I have written five novels and a short story as well as a modest amount of poetry. I couldn’t imagine life without a novel to work on and I have just started writing my sixth! I like to have something to channel mu energies into, something completely my own that I have accomplished. I miss my characters once I have finished though. Maybe that’s why I’m always ready to write another one! Bethany Askew is the author of five novels: The Time Before, The World Within, Out of Step, Counting the Days and Poppy’s Seed. Her work is published on Amazon and available in major retailers. Thanks again for such a great interview Bethany.